Welcome to the Temple Group of Restaurants, Woodford. 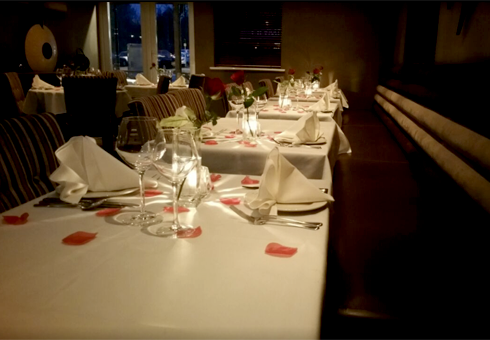 Our extensive menu features an exciting selection of classic fusion dishes from India, Bangladesh and Nepal. Located in Woodford, Essex, we offer a fresh contemporary look with rich vibrant colours and a stylish interior to match. As part of the successful group of growing 'The Coriander' Restaurants we have built a reputation which is second to none. So what are you waiting for? 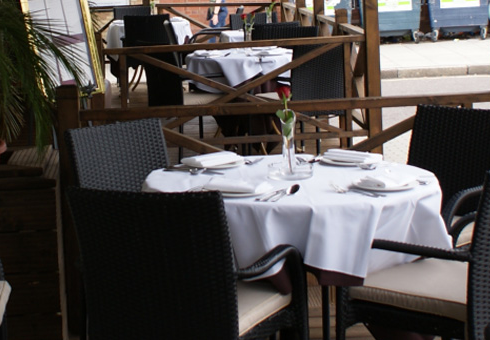 Why not come and enjoy some of the finest Indian cuisine around, with Temple. You will not be disappointed! The Temple Bar & Restaurant has been designed to give our customers a comfortable and unique dining experience. With a lavish and spacious interior, multiple dining rooms, private dining areas and a large accessible bar – The Temple is fast becoming the place for both dining and socialising in the town of Woodford. Our cuisine is second to none, and with a full take-away (collection and delivery) service, you are even able to enjoy The Temple experience in the comfort of your own home. If you are collecting from us – we have an ample waiting area by the Bar where you can enjoy a quick drink before your meal arrives. For the convenience of our patrons, we also offer an online ordering and reservation facility courtesy of Kukd.com. You can book your table online, or alternatively order a takeaway securely online and pay by cash, card or PayPal simply by clicking here. Ordering your takeaway or booking your table online is quick and easy.